Serrapeptase is a proteolytic enzyme, which means it is a catalyst that helps speed up the breakdown of fibrin proteins, which are responsible for excessive inflammation, redness and pain. It has several other scientific names – serratiopeptidase, serralysin and serratia peptidase, to name a few and is referred to as having caseinolytic actions, analgesic and antiedemic characteristics. Throughout the web of serrapeptase facts, the word fibrin appears on almost every page. But what is it? Factor la, fibrin’s scientific name, accumulates around injury sites in the body, and where there is excessive inflammation. Fibrin is formed in a chemical process, hardening (blood clotting) material around the trauma, as a kind of protective shield. Often, excess reactions cause a build up which prevents normal blood flow. You need only look at the thousands of real people reviews on the Amazon marketplace, across the many brands that supply this enzyme supplement, to realize it has enormous healing power. Many hundreds, if not, thousands of people proclaim serrapeptase is the real deal for relieving inflammation and pain. 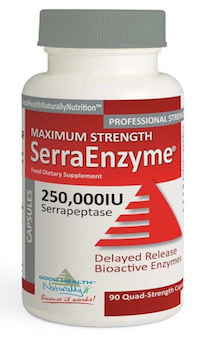 The serralysin enzyme is systemic in nature, which means it works for the whole body, and is not confined only to food digestion, as you might expect, being an enzyme. Inflammation in the body is a normal biological action. After an injury, inflammation is summonsed to the cells of the trauma site, to expel damage. But, excess inflammation causes chronic pain, and in the arteries leading to and from the heart, which can be dangerous, often life threatening. 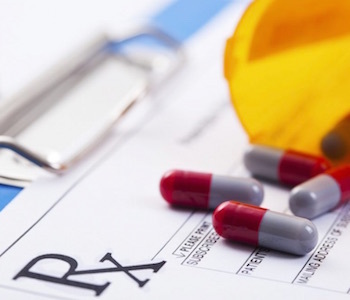 Prescription medicines like NSAID’s are conventionally used to treat heart conditions, but they come with a list of side effects (with prolonged use) that open the doors to future infection and disease. Serrapeptase has the ability to halt excess inflammatory processes in the body. In fact, nothing comes close to the protease enzyme’s powerful actions in combating this riotous biological mechanism. Where Does Serrapeptase Come From? It is the catalytic agent produced in the gut of the silkworm. In it’s natural form, it is an enzyme formed by serratia bacteria in the gut of the silkworm. It is not like other biological enzymes, because it only dissolves dead tissue. So in the silkworm, it only melts the an escape hatch in the cocoon and leaves the ‘silk’ alone. How Are Serrapeptase Supplements Produced? To make enough serralysin supplements for mass production, it would mean killing millions of silkworms to get to the catalytic agent. Unethical, perhaps? So it is safely grown on fermented platforms in laboratories. In fact, since 1970. In double blind studies, scientists fed the culture they produced with proteins, resulting in a fine, white powder that contained the healing enzymes. Why is Serrapeptase Good For You? 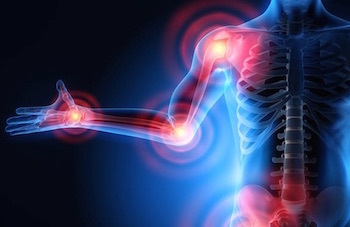 As if being an anti-inflammatory wasn’t good enough, crumbling scar, or non-living tissue in the body, caused through inflammation, serrapeptase leaves healthy cells well alone. Scar tissue in the human body responds to this reactionary process very well. This is one of the reasons cancer patients respond so well to serrapeptase therapy. What Does Serrapeptase Look Like? It is a dry white powder, usually in capsules or tablets. Dr. Hans Nieper, who passed away in 1998, discovered that the silkworm enzyme could be used to treat blocked arteries and arterial plaque. His discoveries furthered the power of the enzyme, publicizing that it could shrink varicose veins and dissolve blot clots. I can attest to this, because this is the main reason I use it, as well as the nattokinase serine protease. What Can Serrapeptase Be Used For? Anywhere there is inflammation in the body, proteolytic enzymes can be used for the clean up operation. In a neurological disorder, such as multiple sclerosis, nerve sheaths (myelin) are destroyed creating plaque, hard scar tissue of the nerves called sclerosis. Some doctors who practise lifestyle, health and nutrition, are now turning to enzyme therapy, instead of drugs and surgery. 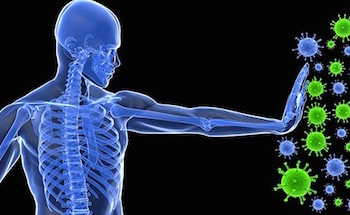 There is a long list of autoimmune diseases, caused by bacteria (or a virus), such as Crohn’s disease, Lupus, Fibromyalgia or Rheumatoid arthritis. Whilst serrapeptase should not be the only natural solution, it is highly regarded as supporting the immune system. Cardiovascular health can be greatly improved by taking serrapeptase, because it will clear protein fibrin and dead tissue which hinder blood flow in the arteries (atherosclerosis). Causes by repetitive stress and use, inflammation is caused to the nerves. The silkworm gut enzyme can be used with great effect, to treat breast engorgement, mastitis and also, capsular contracture (post breast implants). 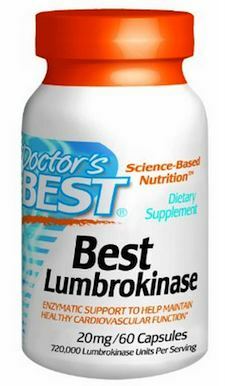 Use of this protease, post surgery (48 hours) can help the healing process, reducing swelling, aches and pain. Young children can be given reduced dosages. We have an article on how serratiopeptase can help improve the digestive system, by reducing the strain on the gastrointestinal system. 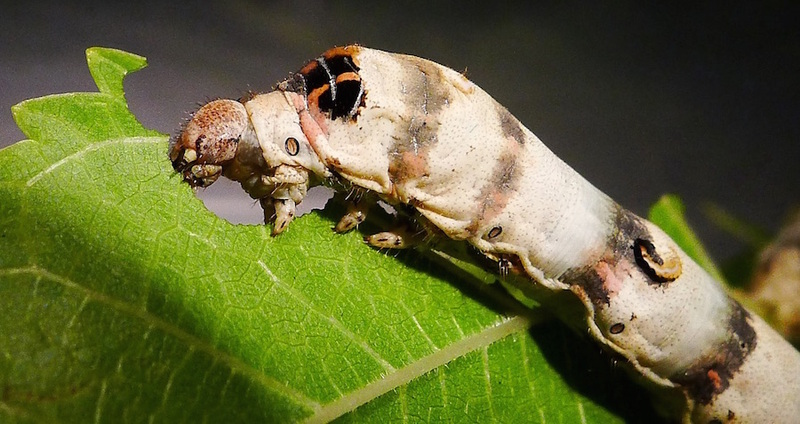 The silkworm gut enzyme can also help relieve symptoms related to liver disease. There is one bacterium that is habitually culpable for bone and joint infections. Staphylococcus aureus, or S. aureus, usually ends with the patient suffering septic infection or arthritis. Why Take Serrapeptase on an Empty Stomach? For the catalyst supplement to do it’s job properly, tablets or capsules must be taken on an empty stomach. 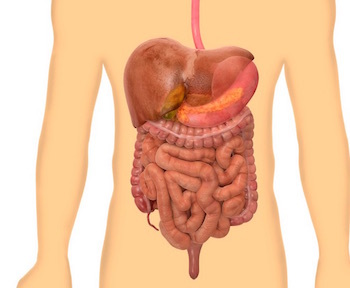 If you take it when your stomach is full, the enzymes will simply digest the proteins in your food. Otherwise, it will harmlessly flow through your blood system to where there is excessive build up of fibrin proteins associated with inflammation. When Can You Eat After Taking Serrapeptase? It is recommended to take it one hour before eating, or two hours after. How Long Does it Take Serrapeptase to Work? Some people report an improvement within 48 hours, some within a day of taking a higher dosage of serratiopeptidase. However, most people have reviewed that they see positive results within ten days. We would concur with this timeline, as I have personally experienced serrapeptase working for me, after fourteen days. Does Serrapeptase Dissolve Surgical Mesh? No. 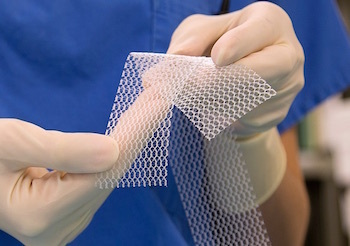 Surgical mesh is not a ‘dead tissue’. Although it is a foreign object within the body (supporting muscle or organ tissue), it is not possible for the enzyme to interfere with it. Ignore what you have previously read on the side of your enzyme tub. There is no recommended dosage for serrapeptase, and you also can’t take too much, especially if you have an acute medical problem. Start off with a small dose and see how your body adjusts to the new enzyme in your body. Increase the dose slowly, until you start to see and feel results. Then, somewhere down the line, everyone is different, you might reduce the dose as your body waves goodbye to excess inflammation. It won’t take long (in most people) for your body to accept the catalyst into your system, and start working miracles for your body. Start out with an 80,000iu capsule, then work up to 6 a day like I did. Six capsules every day saw a massive reduction in my varicose veins, reduced swelling a lot less bruising in my lower legs (I had a DVT a few years back). Most people can take the silkworm gut enzyme without experiencing any ill effects. In fact, most people will tolerate very high doses. However, that does not mean everyone can take it, which is why we recommend starting off with a small dosage. I started off taking half a capsule, and the maximum I’ve taken in any twenty four hours, is 10 (80,000iu) capsules. Make no mistake, this is a powerful enzyme. At one point, I made the mistake of taking 250,000iu capsules, when my body was more than toxic. I had hit a low spot a few years ago, and was consuming high volumes of alcohol and was making very poor nutrition choices. I had an upset stomach for about six hours at a time, and quickly learned a valuable lesson. There is much more research needed on protease and fibrinolytic enzyme therapies. Do your own due diligence beforehand. If your body is free from toxins like alcohol and a bad diet, we are positive you will improve your health from this miracle enzyme. Does Serrapeptase Interact With Prescription Drugs? No. Decades of studies have not shown any interaction with medicines of any kind. A potential side effect for women who take serrapeptase, is heavier periods. Particularly if you get blocked Fallopian tubes, fibrosis or have a uterine condition, serrapeptase eliminates the inflammation caused by these women’s health issues. But there is nothing to be concerned with, once the infection or tenderness has gone, periods should return to your normal. Women who have blocked tubes or cysts, can find relief, thus helping them to conceive. User feedback is important when considering taking a supplement that you’re not familiar with. It is always a good idea to find out from real people (and Amazon is the best place to see these), how it affected them, both positively and negatively. So we have sifted through some of the top comments, and also the negative ones to give you an honest assessment of what we found. One user reported an infection in their body cleared after use, but they don’t give a timeline, but they took it to help their immune system. Someone else was self convinced that this enzyme treatment worked for them, clearing up their sinusitis. He was re-ordering, so left a comment while he was doing it. Someone else with sinusitis said the same thing. Their mucus problem cleared up after suffering for almost a year, and wondered how long before their other health concerns went away! Another man reported their injuries/scars from an old motor bike accident, were ‘disappearing’, and they were in the process of recommending the Serra enzyme to family and friends. Another positive comment said their sleep problems went away after using serrapeptase supplements, along with leg pain and discomfort. One user professed that their hypersensitivity vasculitis practically disappeared, and their ‘leaky gut’ drastically improved. One poor user reported that their chosen brand of the enzyme contained ammonia and talc! So, watch out for fake brands using harmful fillers in their products. Someone else reported their chosen brand contained dairy. As they were allergic to dairy products, they were not impressed. A few people reported being violently sick, some had bad cases of diarrhea too! But they started with high doses, and admitted they were not entirely ‘clean living’. Earlier in the article, we suggested to start off with a low dose. Don’t make the same mistake these folk did. Do your own research. If you can’t find the information here on our site, please leave a message in the comment section below, and we will do our best to answer your questions. Our number recommended source is Good Health Naturally. They have the best high quality and potency serrapeptase. Their product is an enteric coated serrapeptase, which means you need to take it on an empty stomach for it to be highly effective. It is gluten free and suitable for vegan’s. Andy is a health and wellness enthusiast who has a great interest in the cardiovascular system, and more specifically blood circulation. He has suffered with poor circulation (leading to swollen and bruised ankles) since 2004, and has needed to wear compression stockings on both legs. But since he was introduced to the miracle enzymes on this site, nattokinase and serrapeptase, his circulation flows more freely and he has got a lot of pain and discomfort relief. There are many comments on this site, from people suffering with all kinds of ailments, maybe you can relate! You can find out more about Andy on his Google+ profile, where you will find his other sites and projects. I don’t have anything in my research sorry Guru Charan, but if it’s caused by inflammation, then yes, serrapeptase could probably help you. 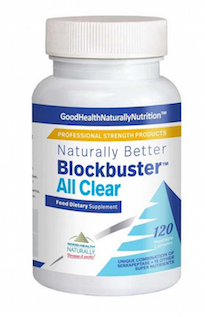 Combination of 80,000iu serrapeptase, plus 1,600 fu nattokinase (plus other ingredients) for a powerful long term maintenance for a healthy cardiovascular system, lungs and cleansing. Please note that all information and content on this site, including articles, videos and articles linked to and from this site are for information purposes only. 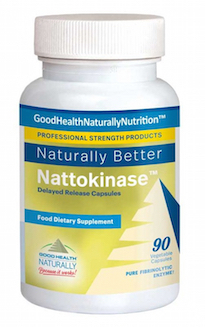 Nattokinase Heart Health is a website set up by a wellness enthusiast, NOT a medical professional. We have done our best to ensure all information on this site is accurate, but it should not be used as medical advice in any way. Before taking any kind of alternative medication or supplement, you should speak with your doctor first.